Before my accident, I was a fully qualified Firefighter for 9 years in Sheffield, South Yorkshire. Now, I enjoy the great team environment, satisfaction, personal fitness and the opportunities to travel the world that Wheelchair Rugby offers. 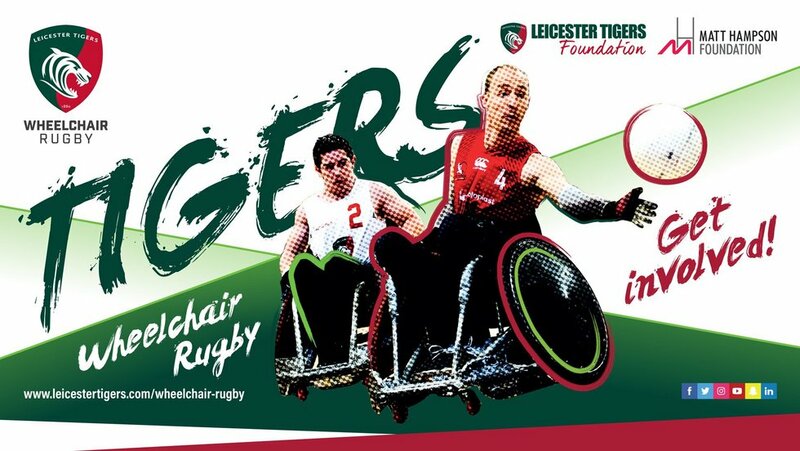 Since being established in 2014, The Leicester Tigers Wheelchair Rugby Team has grown into one of the sport’s most competitive teams. Winning promotion in their first season to the BT Super Series in Division 1, the team has enjoyed a 2nd and 3rd place finish in recent years and currently have two Team GB players within its playing and coaching ranks. Supported by Leicester Tigers Foundation and the Matt Hampson Foundation, the club can continue to compete in the sports highest league as well as overseas in European Competitions. 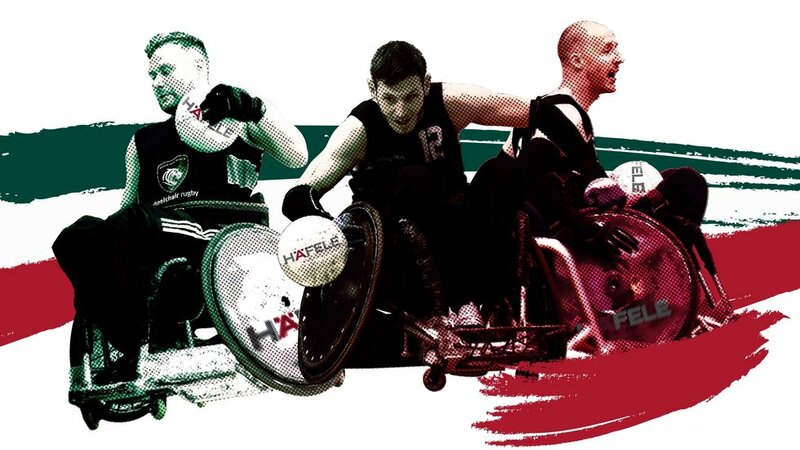 The club is committed to raising the participation and awareness of wheelchair rugby as a unisex Paralympics sport. Click here to view the current Tigers Wheelchair Rugby Squad. In wheelchair rugby the method of scoring is goals not tries. You score a goal by carrying the ball over the opponent’s line. A goal is worth one point. Individuals with upper and lower limb disability participate in specially-constructed custom-fitted wheelchair rugby chairs. Matches are typically played on a basketball court using a round ball. Typically a team will have up to 12 players, with four on the at any one time and eight replacement subs. Each player dependent on physical ability is given a classification from 0.5-3.5. Coaches can make unlimited substitutions but cannot exceed 8 classification points on court. Chairs are customised to meet the measurements of each player. They take a beating! Against the clock, teams have 12 seconds to progress from their half of the court and must score within 40 seconds. Players must pass or bounce the ball once every 10 seconds, they cannot pass or go back into their own half. Wheelchair contact is allowed. Physical contact is not. The game restarts with the defending team in possession on their own try line. Matches are made up of four 8 minute quarters. Anybody with a physical disability can take part in the training sessions. The team train every Friday (12.30pm-3.30pm) at the DeMonfort University Leicester Queen Elizabeth II Leisure Centre.